RML Property Maintenance - Home Improvements, Roofer based in Totton, Hampshire. 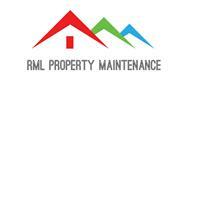 RML is a local business providing property maintenance. You can trust that you are hiring an experienced local tradesman, whilst supporting local businesses we cover Southampton, New Forest, Hampshire, Dorset & surrounding areas. From those tedious jobs you just haven't got round to doing, to those larger jobs. We aim to provide a competitive rate and fast response, we offer free quotations and are available via email and phone. All quotes are clear so you know what your paying from the word go! None of those sneaky hidden extras, if any further work was needed all would be discussed prior to being carried out. There is no cost for quotes, we provide this free of charge.